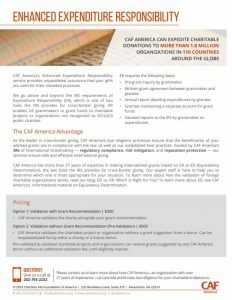 Every organization that receives a grant from CAF America is first evaluated using our extensive validation protocols, processes built upon our decades of experience, the expertise of our staff, and industry-leading best practices in international giving. Taking advantage of our compliance and due diligence services, our donors can support any eligible organization in any country around the world. Once an organization passes our validation, it is entered into our Eligibility Database for a period of 1-3 years, depending on a risk level determined by CAF America. During this time, the organization can receive grants advised from any CAF America donor. 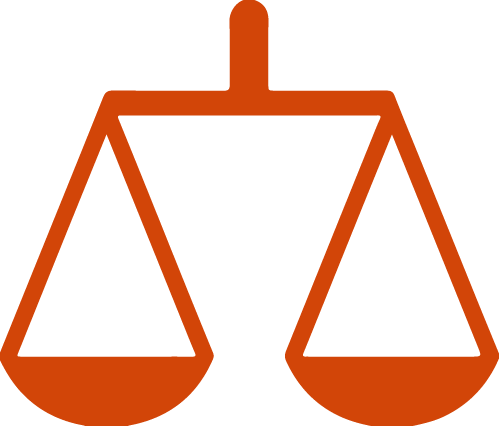 Enhanced Expenditure Responsibility (EER) is CAF America’s unique protocol, and our default validation protocol for vetting previously-ineligible organizations. Expenditure Responsibility is a process through which a grantor (CAF America) establishes the charitable purpose of a specific project as defined in section 509(a) of the Internal Revenue Code. Our proprietary Enhanced Expenditure Responsibility (EER) process provides us with the unparalleled ability to guarantee that the organizations we support are operating in compliance with all relevant US, international, and local laws. In certain situations, particularly when donors wish to support capital campaigns, endowments, or construction, Equivalency Determination (ED) may be a more appropriate method of establishing an organization’s eligibility. 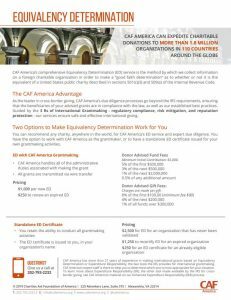 Equivalency Determination is the method by which CAF America collects detailed information on a foreign charitable organization in order to make a “good faith determination” as to whether or not the organization itself is the equivalent of a United States public charity described in sections 501(c)(3) and 509(a) of the Internal Revenue Code. Internal Review: CAF America expertly manages both the due diligence and the grantmaking. ED Certificate: Should a donor wish to make the grant themselves, CAF America will conduct the ED review and issue an equivalency determination certificate in the donor’s name. All domestic charities are automatically eligible with CAF America, however, we take the extra steps of conducting a reputation review on the organization (including using official watchlists and news searches), verifying the organization’s charitable status, and collecting banking details. Some donors seek to have additional layers of due diligence conducted on US charities. 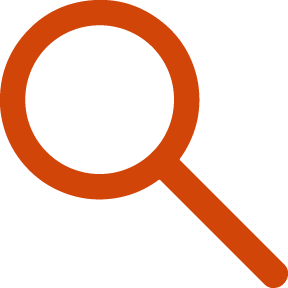 Our Enhanced Validation goes deeper, looking at specific board members and senior staff and collecting a grant purpose for the use of potential funds.